Monday, March 26th, 2018 .. 6AM. 6PM..
Seas.. are 3 to 5 feet 3 to 5 feet. Winds. are Easterly @ 8 to 12 E 8 to 10 MPH. Seas.. are 3 to 4 feet 4 feet. Seas.. are 3 to 4 feet 4 to 5 feet. Winds. are Easterly @ 8 to 10 NE 8 to 12 MPH. Seas.. are Northerly 6 to 7 feet N 6 to 7 feet. Winds. are North-easterly @ 10 to 12 NE 10 to 12 MPH. Seas.. are Northerly 6 to 7 feet N 5 to 6 feet. Winds. are North-easterly @ 12 to 15 NE 12 to 15 MPH. 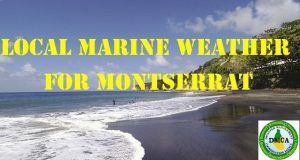 Seas.. are Northerly 4 to 6 feet N 4 to 5 feet. Winds. are North-easterly @ 8 to 10 NE 8 to 10 MPH. Sunday, April 1st, 2018 EASTER SUNDAY.. HAPPY EASTER ALL..
Seas.. are Northerly 3 to 4 feet 3 to 4 feet. Winds. are Easterly @ 4 to 8 E 6 to 8 MPH. Monday, April 2nd, 2018 EASTER MONDAY. Seas.. are 3 to 4 feet 3 to 4 feet. Seas.. are 3 feet 3 feet. Winds. are East-south-easterly @ 8 to 10 E 8 to 10 MPH. Winds. are Easterly @ 10 to 12 E 10 to 14 MPH. Have a GREAT EASTER ALL… As you have read, the Weather is FANTASTIC, except for a few days of Northerly seas which is not good for the Launching Ramp. 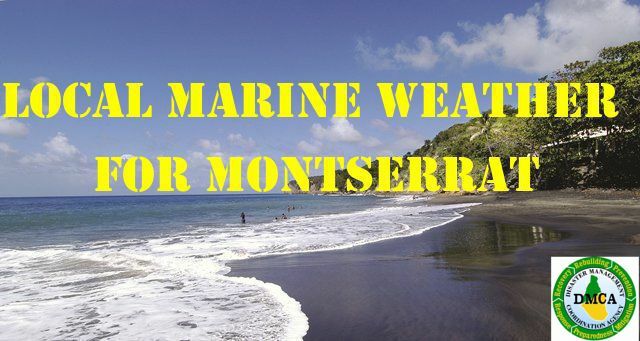 Tuna, so it looks good for the Fishers around Montserrat. Signed: Capt. John @ 7:25AM.. 26/03/18.